It all began, actually, with a picture. The scene: the Coliseum at Rome. In the foreground, her hands clasped with anguish, a despairing maiden. In the middle distance, a young man of muscular build is creeping towards a lion, obviously hoping to do it a bit of no good. The lion appears to have adopted a similar attitude. 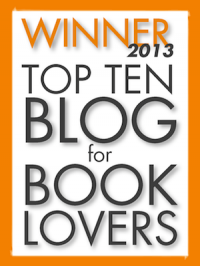 From this illustration I could tell right away that Beric the Briton was my kind of book. In earlier years, poking through the stacks of GA Henty books on the tables at homeschool conferences, I had thought the entire book was about wild Queen Boadicea, British scourge of the Roman invaders. In fact I found that Beric the Briton is actually a snapshot of the Roman Empire around the time of the Emperor Nero. It begins in Britain, naturally, where we meet our hero Beric. He is the chieftain of a sub-tribe of the Iceni—Queen Boadicea’s tribe. As a child he was sent to the Romans as a hostage, and has spent his days among them growing to appreciate their culture and taking copious notes on how to fight them. After the Romans’ brutal treatment of the Queen and her daughters, Beric joins the ill-fated revolt, escaping from the final battle with a handful of men with whom to wage guerilla warfare against the Romans in the marshes. After many adventures, Beric is captured and sent to Rome, where he trains as a gladiator; witnesses the great fire, the persecution of Christians, and the excesses of Nero; and even leads a gladiatorial revolt. This all makes for a gripping yarn in the best Henty style. As usual, it’s packed full of historical details, especially in military matters. There are also some unusual characteristics in this book. It’a children’s book; so Henty is obliged to gloss over some of what is really going on in the plot. For example, he doesn’t explain exactly why it would be so shocking for a maiden of good family to go to one of Nero’s orgies. All the same he has obviously read his Suetonius, and does a good job of suggesting dim horrors. I can imagine the literati sniffing at this approach, but despite its discretion Beric the Briton has interesting nuances. The treatment of Nero is particularly sympathetic—without trying to disguise his weakness or cruelty, Henty tries to be just to the man as someone who genuinely cared about art and was generous to his (momentary, doomed) favourites. He also dismisses out of hand the idea that Nero himself started the fire that burned Rome, attributing to him nothing more sinister than a delight that the old ugly city was burning to make room for a new and improved one. Interestingly, this is the one Henty book I’ve ever read which focuses on the role of women. The women of Britain are tall, strong, inured to hardships, and liable to throw themselves fiercely upon the enemy. They are also able to take public office. On the other hand, Roman women are little better than possessions, and noble Roman women especially are expected to do little but be quiet and look pretty. When Beric becomes engaged to a Roman girl, he assures her that he will not treat her like a child, the way the Romans do. 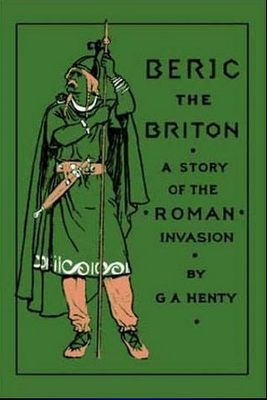 The interesting question to think about as you read Be ric the Briton is this: Did Henty think the women of his own day were more like Roman, or like British women? Although he expresses a preference for the capability and status of British women, Henty is by no means a protofeminist; in this book or anywhere. There is one episode in this book which particularly surprised me. Henty, that writer of wholesome books in which all the good people have good relationships (and I’m not complaining) depicts a divorce in this one. From her first appearance, the lady who is divorced later in the plot is a discontented nag. Not obviously or ridiculously so; not so much that Henty could not have treated it as comedy instead of tragedy. Nevertheless it happens, in a scene that for Henty is unusually charged with painful emotion. One final thing before I finish. I particularly enjoyed the romance in this book. In many Henty books, the romance—there is almost always a romance—seems perfunctory. It is almost always firmly sidelined by the main plot. Fame, fortune, and family always await the hero; but the adventure is the main thing. Accordingly, whenever a young lady of good family pops up in a Henty plot, you expect the hero to marry her. Unusually, there are three such young ladies in this book, and Henty keeps you guessing for a while as to which of them is intended for the hero. Just as unusually, Henty takes time to show—instead of mention—the two of them getting to know each other. There was one scene, shortly after a death in the lady’s family, that was particularly moving. Of course, then there was that particularly distasteful scene near the end where one of the young ladies tells Mrs Beric, half-jokingly, that her own husband is all very well, but of course she really wanted to marry Beric all along. Oh, Henty! Bad form! Despite this fumble, Beric the Briton was enjoyable and exciting with some unusually well-drawn characters. Highly recommended. Rosemary Sutcliff was a novelist who is mainly famous for writing children's books set at different times during the history of England—especially that period during the decline of the Roman occupation and the Saxon invasions. One of the most well-known of her works, The Eagle of the Ninth, was recently made into a film and she is a household name among the homeschool community. She also wrote a variety of books for grown-ups, including one, The Rider of the White Horse, about the wife of Sir Thomas Fairfax, the great Puritan general of the Civil War whose military partnership with Cromwell turned the tide against the King. I have not yet read this book, nor any of her other books for adults, but my friend (and regular Vintage Novels reader—hello, there!) Christina is quite a fan of hers. Another of Christina's favourite authors—one to whom her family introduced me, much to my gratitude—is Elizabeth Goudge. For some time, Christina told me, she had wondered if Elizabeth Goudge and Rosemary Sutcliff read each others' works at all. She was unable to find any evidence of a connection until one day, opening a library copy of The Rider of the White Horse, she found it introduced by Elizabeth Goudge herself. 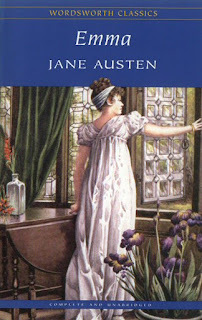 I had read all of Jane Austen's major works by the age of seventeen. Pride and Prejudice I had first read by twelve, and that one was obvious enough to be enjoyed, repeatedly, from that age. Though Emma came some years later, when I was fifteen or sixteen, its subtle plot, humour and characterisation flew right over my head. I remembered it as a long and not very engrossing book which it had taken effort to get through. Two weeks ago I was able to watch the 2009 BBC miniseries production of Emma and found it fresh, funny, and engaging—enough to make me wonder whether it might not be worthwhile to read the book again. Meanwhile I had read Peter Leithart on Emma in his book Miniatures and Morals: The Christian Novels of Jane Austen. This had got me thinking about the larger themes of charity and community in the novel, themes which came through loud and clear in the miniseries. I was now able to appreciate how the little ins and outs of social life in Highbury contributed to an intricate yet understated plot. When a discussion began on Facebook about whether the miniseries was true to the book, I decided I had to take the plunge for a re-read. And I'm so glad I did. Emma is a wonderful story. Miss Emma Woodhouse is twenty-one, independently wealthy, pretty, charming, and an inveterate matchmaker. Having decided that her former governess's happy marriage was all her doing, Emma looks around for some other pair to render happy for life. She settles on the local vicar, Mr Elton, and soon decides that Miss Harriet Smith—a beautiful girl of mysterious (that is to say, not very respectable) parentage is the perfect match for him. Old family friend Mr Knightley, the only person in Highbury who does not think Emma is perfect, rebukes her for meddling when she persuades Harriet to decline an offer of marriage from a young farmer who is in love with her. Meanwhile the little village of Highbury is buzzing with the return of Miss Jane Fairfax, accomplished niece of the garrulous Miss Bates and Frank Churchill, the long-lost son of Mr Weston. Frank's attentions to Emma almost cause her to reconsider her resolution never to marry, while the suggestion that Mr Knightley might be Jane Fairfax's secret admirer causes her some concern as the adoring aunt of the small heir of Mr Knightley's estate. Through a tangle of gossip, secrets, sundered hearts, and mystery, Emma grows in understanding and finds true love of her own. Emma is a delicious, frothy confection with a chewy centre. Jane Austen chose as her setting a small community where everyone knows everyone else—and where, if someone offends someone else, there can be no escape from awkwardness. In such a setting, Emma's gossip and thoughtlessness become a twin spectre of destruction. Indeed, gossip and drawing-room chatter drive the whole plot. Careless remarks have shattering consequences. 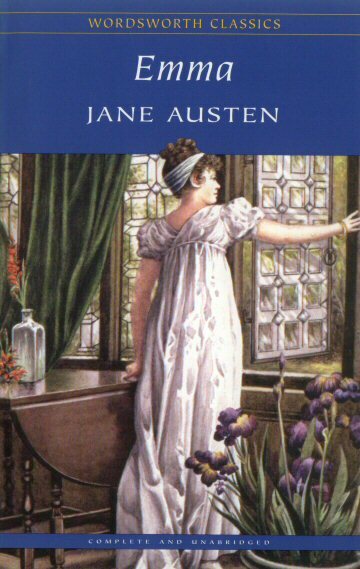 In this subtle, understated masterpiece, what Jane Austen doesn't say is almost as important as what she does say. There's a wonderful scene where Emma's former governess, Mrs Weston, suggests that Mr Knightley may be Jane Fairfax's admirer. Emma reacts in shock, protesting that Mr Knightley must never marry and giving shallow reasons. If the reader looks far enough under the surface to realise that Emma is in love with Mr Knightley and doesn't realise it yet, this scene becomes exquisitely funny. Then there's the scene near the end where Mrs Elton brags about how Mr Elton is Mr Knightley's right hand man—nobody can do anything without Mr Elton—Mr Elton has gone to see Mr Knightley on a matter of great importance. Enter, on cue, Mr Elton complaining that Mr Knightley was not at home (though he promised to be there) and none of the servants know where he is. Surely he left you a message, says Mrs Elton, trying to save face. Not a word, says Mr Elton. Oh, to be sure he did, Mrs Elton says—the servants must have forgotten it. And in the middle of this scene, Emma—who Mrs Elton is trying to simultaneously impress and snub—excuses herself and leaves because she knows where Mr Knightley is, and knows that he wants to see her, Emma. The whole book, like this scene, drips with delicate, ironic comedy. Meanwhile, some have suggested that Emma, revolving as it does around a central mystery, is the first English mystery story. Indeed one of the chapters could aptly be titled Mr Knightley: Gentleman Detective. This is part of why a second reading of Emma is so rewarding: if you know what happens at the end, you can read more carefully between the lines, picking up more clues—even in Miss Bates's endless chatter. Indeed, careful reading of all the dialogue is a must—even if the characters aren't dropping hints to solve the mystery, they are dropping hints as to their own true characters and motivations. And Jane Austen is merciless to her characters, foolish or duplicitous. Mrs Elton's conversation is one long name-dropping exercise (how fitting that her friends should have names like Suckling and Bragge!). Of Harriet Smith, the remark is made that “Harriet was one of those, who, having once begun, would always be in love.” And even nicer characters like Miss Bates or Mr Knightley are not passed over without remark on their faults, while even the heroine is not allowed to rejoice over the birth of Mrs Weston's baby girl without some thought of arranging a match between the child and one of Emma's nephews. More than once I felt myself squirming upon seeing myself reflected in the characters. Love in a small community is nothing easy or glamorous. The same people's faults rub up on you the same way, day after day. In Leithart's words, Austen “knew all about the pettiness, the gossip, the boredom, and the inanity of life in a small community.” People are always “as tiresome as ever.” And yet God tells us to love our neighbours. Emma is about the unique challenges that come with trying to love the person next door, with the one little idiosyncracy that nearly makes you want to scream. In Emma, the characters must navigate deception and their own uncharitable impulses in order to make community life bearable. It's a high-stakes plot, in which the enemies are whispers and veiled insults. It's a profound and thoroughly enjoyable book—highly recommended. I have seen two film adaptations of Emma. The 1996 Gwyneth Paltrow film cuts a great deal of material out of the book, but remains an enjoyable and faithful treatment of what's left. The 2009 BBC miniseries with Romola Garai in the title role takes much more time over the material but updates the dialogue somewhat, as well as making the humour and emotional beats a touch more obvious. Both are worth seeing. As usual, neither can substitute for the book, but the 2009 miniseries may convince others, like me, to try the book. These are not my favourite books. Nor have I always thought they were very important to me. But they are a part of my mental architecture in ways so profound that it took me twenty years to realise just how great their effect has been on me. This would be, incidentally, an interesting topic for discussion. The Chronicles had a formative effect on my life. Was that a good thing? I think it was, because I think they are good and wholesome books. But as my (potential) children grow up, I'll be remembering how I was shaped by the books that, from age four to nine, were my favourites, and choosing books accordingly. The Lion, the Witch, and the Wardrobe: Four children sent away from London during the Blitz discover a magic wardrobe leading into the enchanted kingdom of Narnia, which is terrorised by the cruel White Witch. An ancient prophecy states that after a hundred years of winter, the White Witch's power will be broken by Aslan, the Great Lion, who will appoint four human children to reign over a reborn Narnia. But the prophecy can only be fulfilled if all four children are present—and one of them has gone over to the White Witch. Prince Caspian: High King Peter, Queen Susan, King Edmund, and Queen Lucy—the four siblings from the previous book—have reverted to childhood and lived another year in the outside world. But then the note of Susan's magic horn summons them back to Narnia. This time, foreign invaders have taken over Narnia and driven all non-human and magic creatures into hiding. One boy stands between Miraz the usurper and total control of Narnia—young Caspian, the true king, who resists him with a guerilla force of Old Narnians. The woods return to life, Aslan is seen again, and it's time for the old kings and queens to prepare for war. The Voyage of the Dawn Treader: To their great delight, Edmund and Lucy return to Narnia in time to sail with King Caspian to the uttermost East in search of ten lost lords, the end of the world, and Aslan's own country. To their great disgust, they bring a hanger-on—their horrible cousin Eustace, who insists on seeing the British Consul and getting back to civilisation. Fortunately for Eustace, there is no British Consul in the uttermost East—but plenty of danger in the form of slavers, dragons, sea-serpents, magicians, and nightmares. 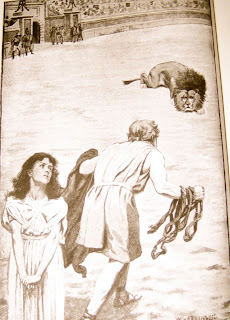 The Silver Chair: Eustace, now a reformed character, and Jill, an unhappy girl at his school, call out to Aslan for permission to escape to Narnia. Permission is given, but only so that they can undertake a quest. King Caspian's only son and heir Rilian has been missing for years, so Aslan solemnly commissions Jill and Eustace to go in search of him until they find him and bring him back, or perish in the attempt. The Horse and His Boy: Shasta, a boy growing up in poverty in the Arabian-Nights land of Calormene, knows that he cannot truly be the son of Arsheesh the fisherman. But then a visiting nobleman's horse changes his life forever with one whisper. The horse is in fact a Talking Horse from the far northern land of Narnia, and it is his dream to return there and be free...and from his fair northern features, says the horse, Shasta must be from Narnia too. Boy and horse escape together, and with the company of Aravis, a young noblewoman fleeing an arranged marriage, set out for Narnia and the North. But the passion of Prince Rabadash for Queen Susan of Narnia is likely to make their trip more eventful, more dangerous, and more momentous than they expected. The Magician's Nephew: Digory Kirke knew his uncle had a secret, but he and next-door-neighbour Polly Plummer never expected to find themselves flung across the barrier between worlds, or to waken a powerful witch-queen among the crumbling ruins of a dying cosmos. Jadis of Charn lusts for new worlds to conquer, and Digory is desperate to save his own—at any cost. 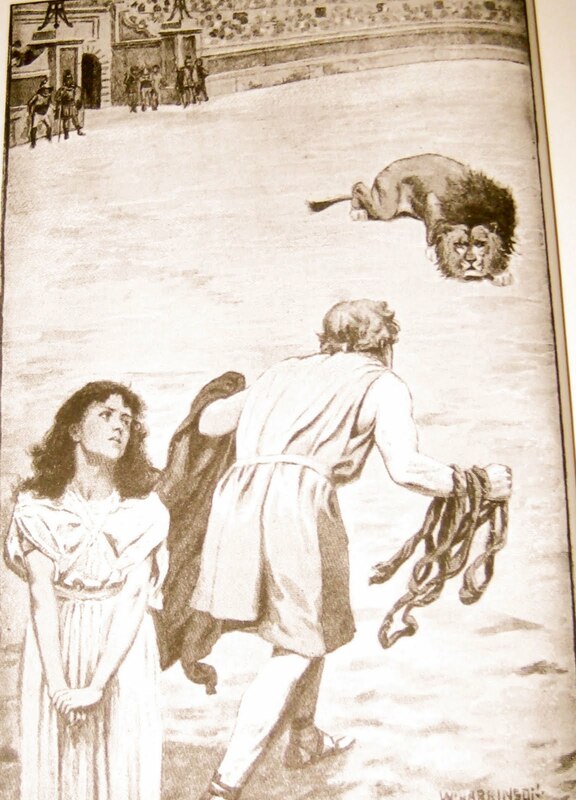 The Last Battle: Eustace and Jill return to Narnia to find the Last King of Narnia, Tirian, bound to a tree awaiting trial for slaying a Calormene. The ape Shift preaches a strange heresy on Stable Hill; the creatures of Narnia have been decieved and frightened by his lies; then the mighty Calormenes strike Cair Paravel. An eagle bears the last message of Roonwit the Centaur to King Tirian: Remember that all worlds draw to an end and that noble death is a treasure which no one is too poor to buy. In a Narnia racked with strife, strange gods, and doubt, Tirian and his friends choose a hill on which to loyally die. 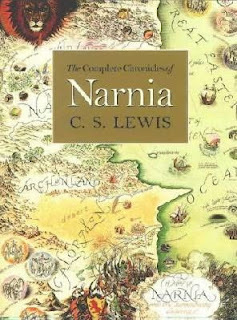 When I read Michael Ward's Planet Narnia, which is the most staggering work of literary criticism any Lewis fan will ever read, I noticed Ward's overriding point with surprise: he was saying that Lewis intended to give readers a taste of a medieval aesthetic which would show many of them, for the first time, what a truly Christian work of art is like. This aesthetic would be communicated at all levels, even the subliminal. It was at this point that I realised that I have always been fascinated by the medieval, and that this fascination was born in Narnia. I had to laugh as I realised how my whole perception of beauty and nobility were formed in Narnia. Noblesse oblige, courtesy, chivalry, merriment, courage, humility, honour—I dare not say that the Chronicles of Narnia instilled these qualities in me, but they taught me to recognise them and admire them. They are first-rate stories, powerful allegories, and real food for the soul in an ugly, rebellious world. The first three Chronicles—The Lion, the Witch, and the Wardrobe, Prince Caspian, and The Voyage of the Dawn Treader, have been made into movies produced by CS Lewis's stepson Douglas Gresham. They are of varying quality and faithfulness to the books and fall into the same traps as the Lord of the Rings movies, the Society for Creative Anachronism, and other things—that is, the trap of being meticulously researched, beautifully set-dressed, and sumptuously costumed, but not remotely authentic in attitudes, themes, or aims. I suggest reading the books five or ten times before watching the movies once. I had already read two Jeffery Farnol books, and quite like them. Although as a writer Farnol labours under many deficiencies—shallow sentimentalism and sensationalism for two—I enjoyed Martin Conisby's Vengeance for its unusual treatment of its revenge theme. From the vantage point of having read The Broad Highway, I am no longer sure whether Farnol is worth salvaging from obscurity, even for Martin Conisby. The Broad Highway starts out promisingly enough with the reading of a will. Peter Vibart's uncle left him ten guineas, while his rake of a cousin Sir Maurice Vibart is given twenty thousand pounds. But the bulk of the uncle's fortune is to go to whichever of them, within a year, should marry the strong-willed, strong-armed, yet beautiful Lady Sophia Sefton. The quiet, scholarly Peter strongly dislikes what he hears of Lady Sophia, and so instead of trying his hand for the legacy he sets out alone down the broad highway to Cornwall with ten guineas in his pocket and an idea of finding some way of earning an honest living. After many surprising adventures, in which he is regularly mistaken for his hell-raising, wicked, and violent cousin, Peter finds a job as a humble blacksmith. But then one evening he finds himself defending a mysterious lady known only as Charmian from the dishonourable intentions of his own cousin. Who is Charmian? What terrible scenes will conclude the acquaintance of Peter with his wicked cousin? Will the path of true love run smooth, not just in the main cast but also among the humbler supporting characters? Has anyone any real doubt? Although entertaining for an idle hour, The Broad Highway contains many of the flaws, and few of the redeeming features, of the previous two Farnol books I read—Black Bartlemy's Treasure and Martin Conisby's Vengenace. It is no more than a very forgettable sensational novel—with little of interest to recommend it, and too much of sensation to make it very healthy. Then there is the particularly distasteful episode in which, for no apparent reason, the narrator takes it upon himself to declare that Our Lord was no more than a wise human teacher. I do not, on the whole, recommend this book. PS. I must apologise for my writing style today. I have been reading Jane Austen all afternoon, and now I am writing like her. Hopefully it will have worn off in time for my next post. Unusual obstacles lie in the way of any woman trying to be a good novelist. No, I don't mean the repressions of a patriarchal society or any of that nonsense. I mean that women have some unique struggles with the way they are wired. Men tend to be mission-oriented, job-oriented. Women tend to be relationship-oriented, especially in a romantic sense. This leads to faults on both parts—once the mission of getting the girl is over, men tend to turn all their attention to the next mission. And women tend to focus on the relationship and forget that the relationship serves the mission. Unfortunately for us ladies, the temptation to focus exclusively on relationships affects the quality of our writing. We forget to write characters that have something bigger in their lives than each other. We think up perfectly good plots and then drown them out by adding too much romance. There is one lady novelist who rose above all these problems to write novels from a distinctively feminine point of view—that is, ultimately concerned with relationships—in a way that recognised the position of love in the order of things. Jane Austen was clever, insightful, witty, an excellent stylist, a lover of her fellow-man—and a devout Christian whose themes were directed to the right and wise ordering of the feminine life. 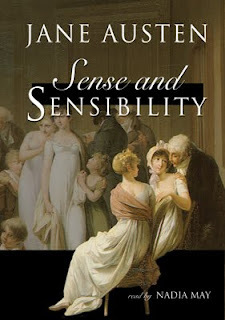 Sense and Sensibility tells the story of two sisters. When their father dies, Elinor and Marianne Dashwood move to a small cottage in a new community with their mother and younger sister. Both Elinor and Marianne are of marriageable age and face the obstacles of poverty and a lack of suitable likeminded men. Elinor, the elder sister, is reserved, discreet, and always keenly aware of her duty to her family—traits which cause the impulsive, romantic, and emotionally uninhibited Marianne to suppose her to have little feeling. Marianne sprains her ankle and is rescued by a handsome, dashing gentleman named Willoughby. They form an attachment, but Elinor warns Marianne that her unguarded behaviour towards him will cause tongues to wag—in fact, Elinor and her mother suppose that Willoughby and Marianne must be secretly engaged. Meanwhile, Elinor is nursing an aching heart of her own—she has met a young clergyman of good sense and taste, who although he seems to appreciate her has ceased to pay her attentions. Through love and heartbreak, the Dashwood sisters must navigate their emotions, figure out what's really important, and learn to distinguish between honourable men and scoundrels. Humbled and determined to follow her sister's example of “gentleness and forbearance”, Marianne promises that her emotions shall be “regulated...checked by religion, by reason, by constant employment.” If only more girls took good notice of Marianne's resolve! A recognition of the sovereign dispositions of God, the retention of sense and reason, and the devotion of one's self to fruitful labour—these cures for emotional incontinence are still as important today as they were in Jane Austen's day. The 1995 Ang Lee film, Sense and Sensibility, stars Emma Thompson as Elinor Dashwood, Kate Winslet as Marianne Dashwood, Hugh Grant as Edward Ferrars, and Alan Rickman as Colonel Brandon. It is an excellent film, faithful in spirit to the book and only making those changes which are necessary to condense the novel. Highly recommended, but as usual, no substitute for the book. All right, enough about film. 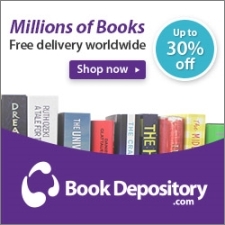 Let's talk about books. The King Arthur legends, also known as the Matter of Britain, seem to have taken their place as the dominant legends of England. 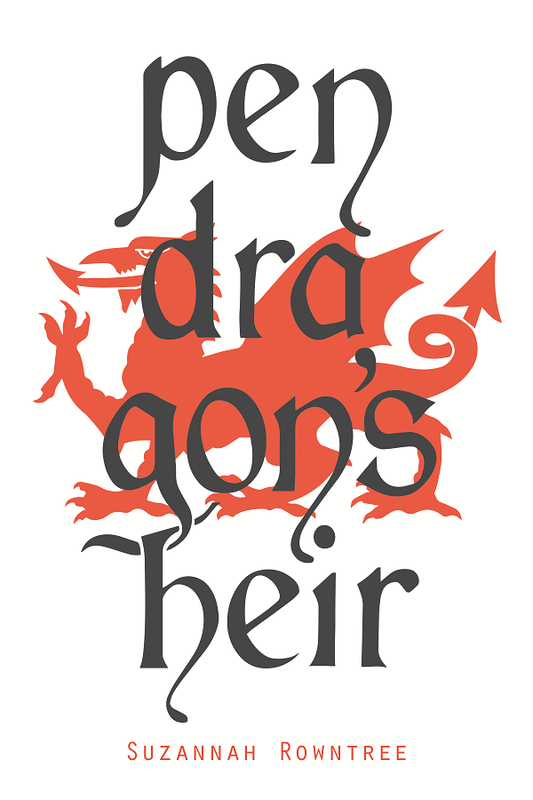 It's been told and retold many times over the years: by Geoffrey of Monmouth (one of the earliest versions of the myth), by Thomas Malory (the most famous English retelling), by Chretien de Troyes (most famous French retelling), by forgotten Inkling Charles Williams (most brilliantly, allusively confusing) and by many others. One of the most recent versions of the legend is by Alfred Tennyson, poet laureate to Queen Victoria. His Idylls of the King is a collection of long poetry in blank verse centred around one great theme: a high and noble enterprise—the building of Logres, God's kingdom on earth—bearing within itself the seeds of a mighty destruction. The introduction to my 1922 version reads-- “--the overthrow of Arthur's great constructive scheme and of his high ideals appears as the direct result of the sin of her who should have been his most powerful helper.” At first, the guilty love of Guinevere and Lancelot is barely a note; as each of the poems moves the story forward, however, the note becomes one huge theme that brings all of Logres crashing down. Although the cycle of poems covers decades, each poem takes place within a specific season: the foundation of Logres and the wedding of the King in spring, the tales of adventure in high summer, the Quest of the Grail—with forebodings of destructing—in autumn, and the death and desolation of Logres in darkest winter. Gareth and Lynette, a retelling of the story originally invented by Malory. How can ye keep me tether'd to you?--Shame. But he that told it later says Lynette. The Marriage of Gereint comes from the Mabinogion and Chretien de Troyes and has always been one of my favourite stories. Gereint and Enid finishes off the story begun in The Marriage of Gereint. Balin and Balan tells one of the few really tragic substories from the cycle. Merlin and Vivien casts the enchanter as a fool and the fay as a vicious power-mad schemer—rather unusual, but thought-provoking. Lancelot and Elaine provided the inspiration for the famous episode in Anne of Green Gables where our heroine nearly gets drowned “floating down to Camelot”. The Holy Grail is a particularly metaphysical version of the original legend. Pelleas and Ettare, adapted from Malory, is a sad story of unrequited love and disillusionment. The Last Tournament is the beginning of the end. Guinevere is a particular favourite of mine—on the eve of his last battle, the King visits his wife in the nunnery where she has fled, crippled by remorse—and forgives her. Finally, The Passing of Arthur is the telling of the last battle, and the departure of the King into the West. 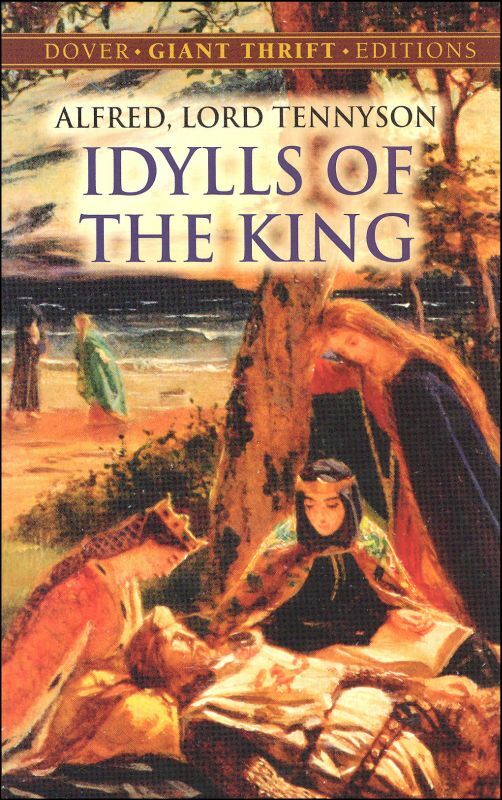 The Idylls of the King is well worth reading to anyone interested in good stories and good poetry. Tennyson's retelling of the story takes the main focus off the story of the Holy Grail, in most versions central to the story; instead, the main theme is the King, his knight Lancelot, and their love for the Queen. The Holy Grail, as argued by Charles Williams in The Figure of Arthur was originally the indispensable apex of the Arthurian myth: I myself would say that its achievement is a symbol of the embodiment of the Kingdom of God in the Kingdom of Logres. But in Tennyson, the Grail is a very unsubstantial thing; only Galahad attains it; it is separated from the narrator Percivale by unfathomable distance and surreal imagery and it contributes much to the breaking of the fellowship of the Table. The real spiritual and emotional heft of Tennyson's story depends on the slow dissolution of glorious Logres: one sin, the love of Lancelot and Guinevere, slowly works its way through the whole of Logres until in Pelleas and Ettare and The Last Tournament Logres has almost become a parody of itself—discourteous, adulterous, disillusioned. The telling of this story is profound and masterful—but in some ways somewhat unlike the Arthur legends. The Idylls are very much a product, not of real medievalism, but of the Victorian medievalist revival. A thought-provoking, haunting, beautiful work and a pleasure to read.